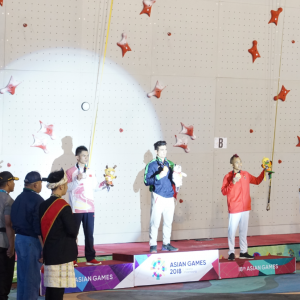 Asian Games 2018 hosted sport climbing competitions, for the very first time of their history. 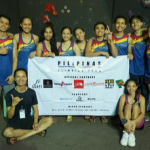 Over five days, climbers from all over Asia gathered in Indonesia, around the climbing walls manufactured and installed by EP, supplied through our Indonesian distributor PT Cipta Agung. There, they showcased amazing moves in order to try and top the striking routes opened by ingenious IFSC route setters. 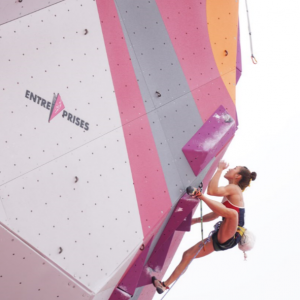 For the speed climbing solo competition, one of the runs opposing China and Indonesia will stay in memories: Aspar Jaelolo from Indonesia missed the victory by 0.01 second. 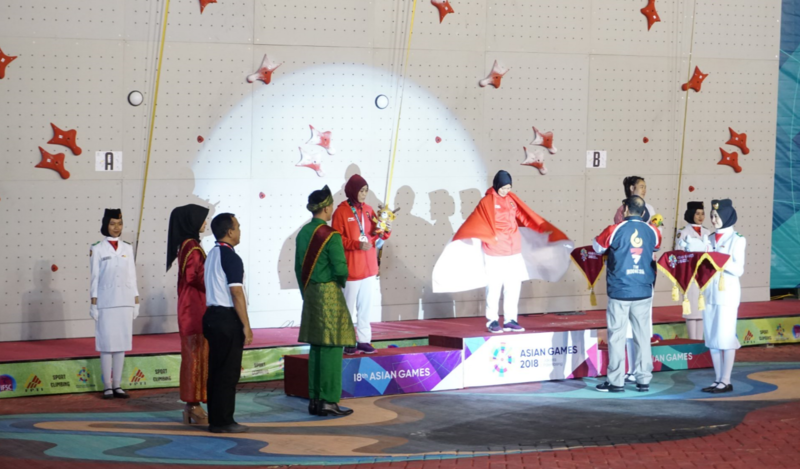 Nevertheless, Indonesian climbers performed impressively well, Puji Lestari and Aries Susanti Rahayu won respectively Silver and Gold medal in the women category, and Aspar Jaelolo the Bronze medal in the men category. In this category, Iranian Iran Alipour Shenazandi Fard won the Gold medal, followed by Chinese Zhong Qixin who won silver. For the combined competition, up to their highest standards, Japan and Korea, both in women and men categories, were on the podium. In women category, Akiyo Noguchi from Japan won the Gold, followed by Sa Sol and Kim Jain, both from Korea. 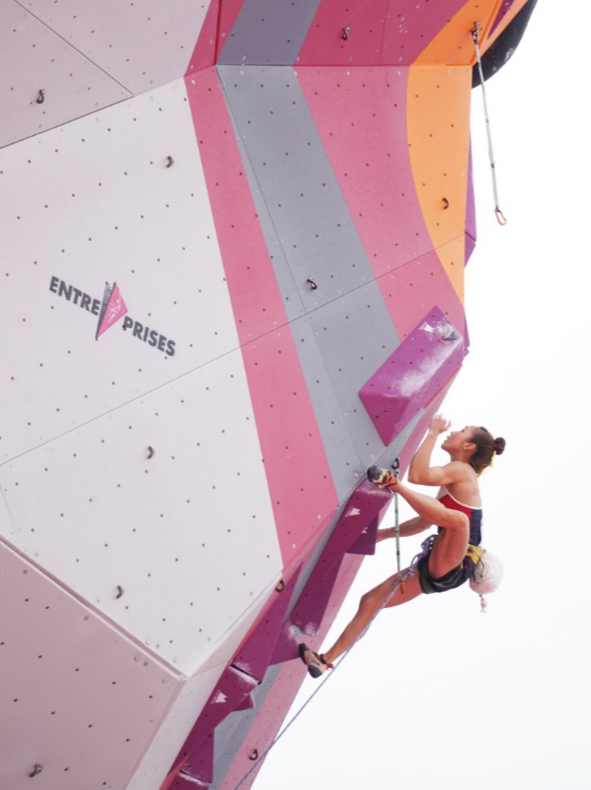 Kim Jain was the sole women climber to top the lead route both in qualifications and finals. 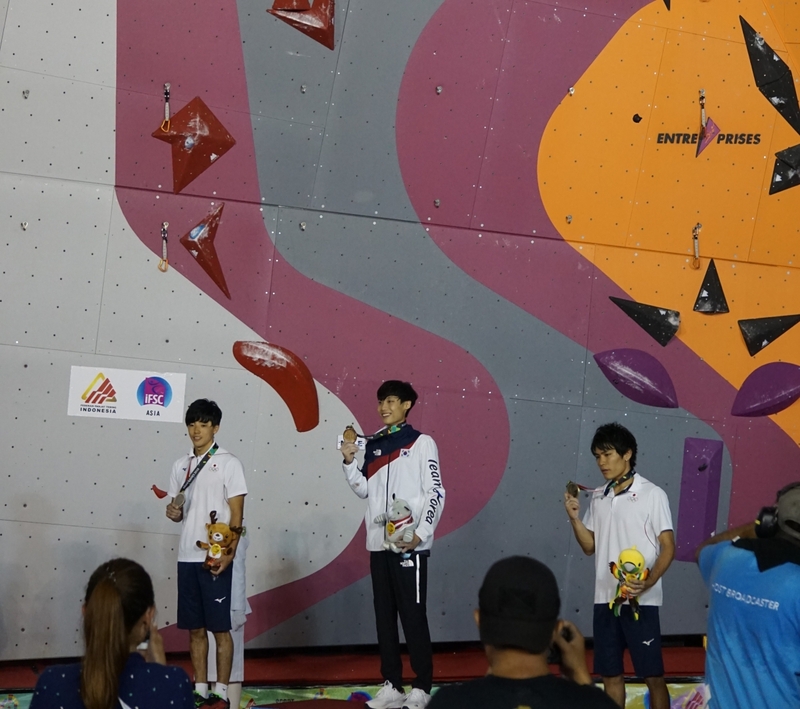 In men category, Korean Chon Jongwon won the Gold, followed by Fujii Kokoro and Tomoa Narasaki both from Japan. 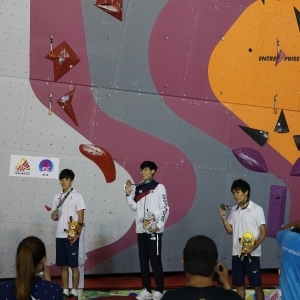 The respective victory of each of these climbers in the combined competition was indeed highly deserved, based on their impressive performances over the three climbing disciplines. For the speed relay competition, climbers competed against each other, paired with their fellow team members. 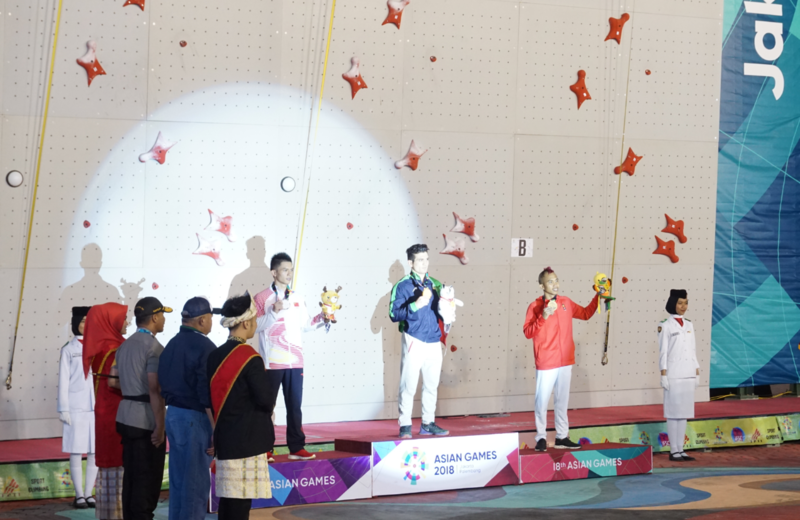 In the men category, Indonesia once again got the Gold and Silver medals, followed by China. The same nations made it to the podium in the women category: Gold medal for Indonesia followed by Silver and Bronze medals for China. 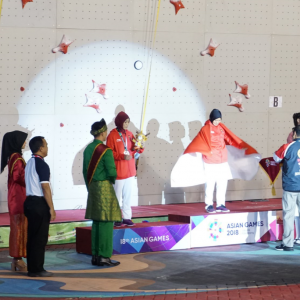 Climbing at Asian Games 2018 was all about passionate athletes, ingenious route-setters who took advantage of EP climbing walls to the fullest extent, and dedicated organizers from Indonesian federations of sport climbing. 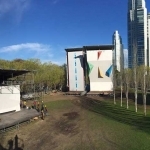 The harmonious combination of all these energies enabled the audience to experience a fantastic show all over the competition.